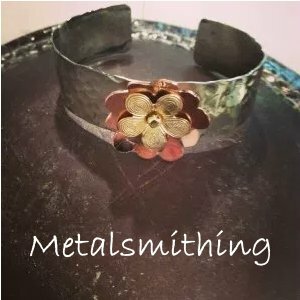 Work with metalsmithing tools to form, shape & create your own designs. Hammering and soldering will be the main focus of class. Each student will learn techniques to make their very own bracelets, rings, pendants and more. Boys and girls are encouraged to take this class. * Students who have previously taken this class are encouraged to register again as projects vary with each session. 8 student maximum.